Everyone knows that I love a good typewriter project. 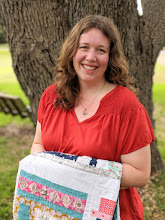 I even designed the Typewriter Mini Quilt as a free pattern to go along with the release of Sew Organized for the Busy Girl several years back. This little block from Lori Holt's Spelling Bee book is a great way to play with the theme in a single quilt block. It's always so fun to choose the fabrics for these blocks. The green dotty print makes a great frame for the scrappy keys -- and who wouldn't choose a polk-a-dot typewriter over a solid one any day! -- and I love pulling in a text print for the paper. The navy blue prints are a nice contrast and give this color scheme a slightly preppy look which I love. 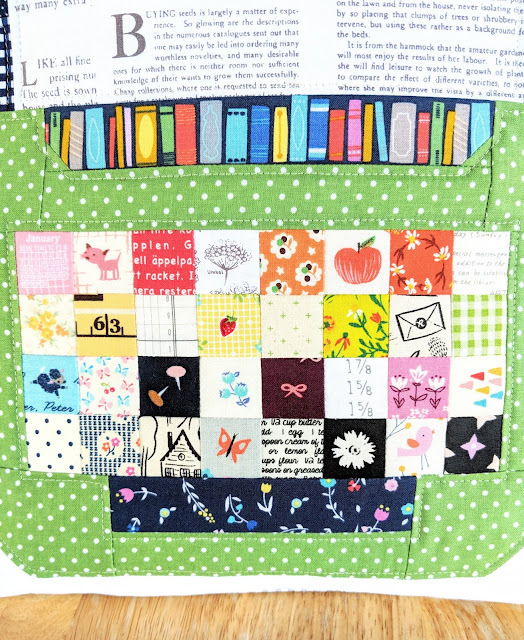 And that book print by my friend Jill Howarth from her Once Upon a Time collection for the typebar -- oh my goodness, I adore it! I knew right away that I wanted to turn this block into a pillow, and I love seeing it on the couch in my bedroom. 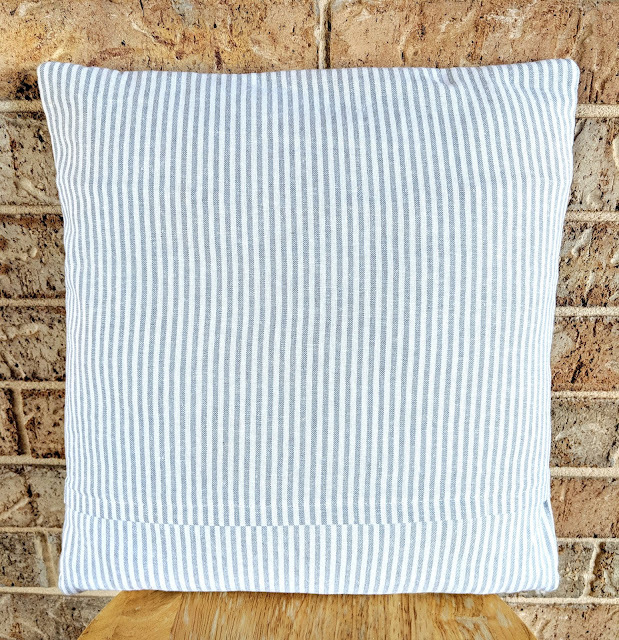 For the backing, I used striped gray and white linen which goes with everything and makes a sturdy case for the pillow form. This pillow just makes me happy every time I look at it -- every . . . single . . . time. 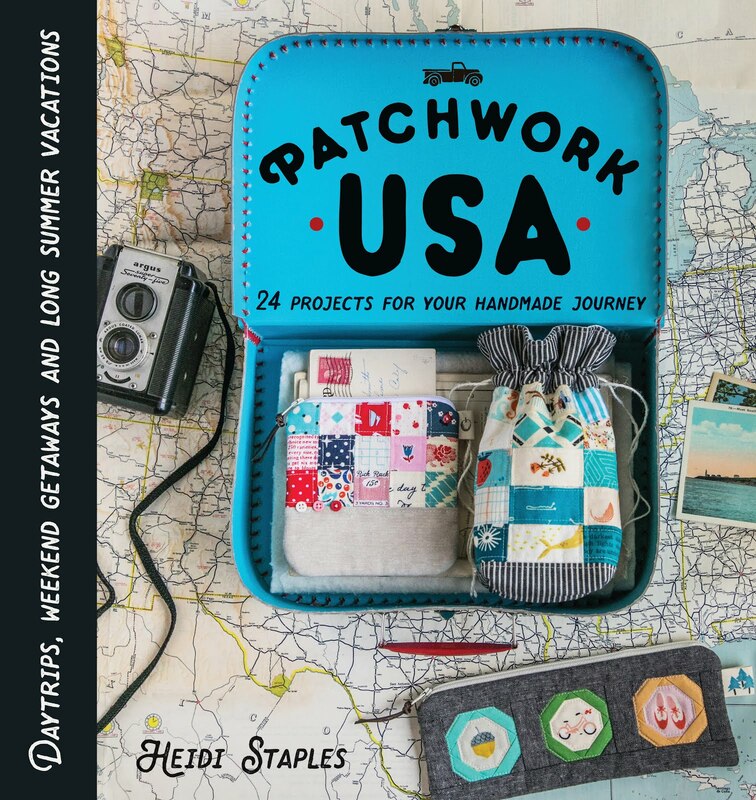 Thanks again to the Fat Quarter Shop for setting up this fun sew along, and to Lori, of course, for writing such a fabulous book. Great block and what a fun pillow! Wow, your pillow is awesome! I love love love your typewriter. I have the book, which is so full of fun things to piece. 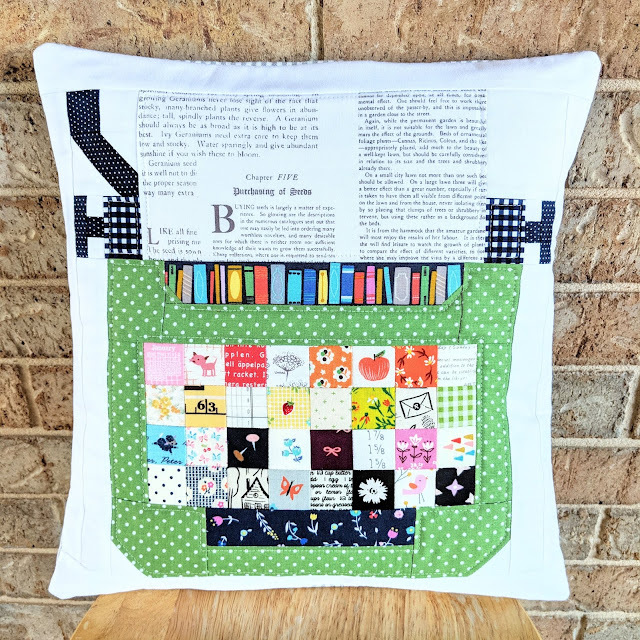 I have made some letters and another small quilt, but I definitely want to dive into some more of these cute blocks and pillows are a great idea. Thanks Heidi! I just love your typewriter pillow!! It makes me smile each time I see it, with all the beautiful fabrics you chose for each section of it! So cute, and of course I love Dachshunds. Have two of them. Heidi, this is adorable. What a fun pillow. Your attention to the details is really something. 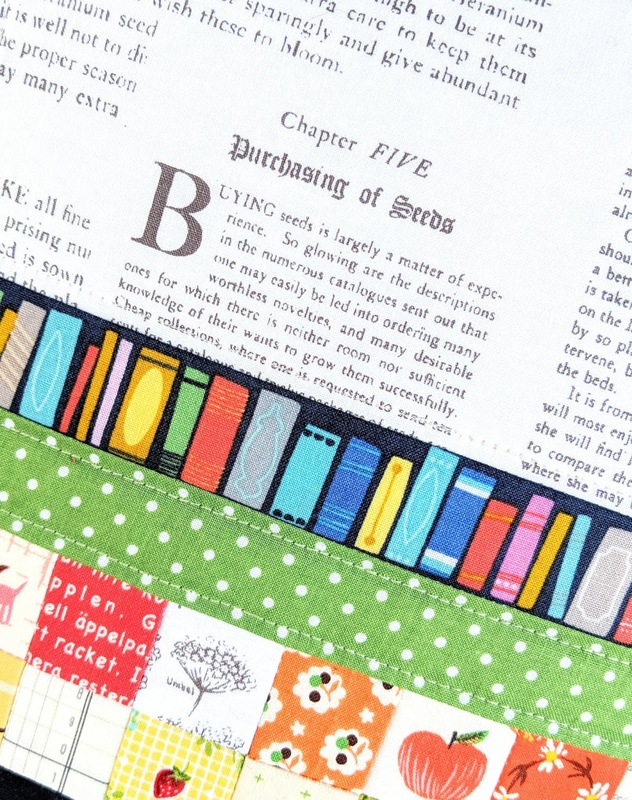 The text print, the book print and your scrappy keys are really cute. Such a great block! Heidi, I love your fabric selections, which gave this block such personality! So much fun. I can see why it makes you smile. And I love your book, too. Love, love, love your pillow! This is just so adorable! I would love to know the name of the text print you used. I can't find anything that would work and would love to make a pillow like this. Thank you! Thisis so cute! Typing gave me a trade many years ago! Thank you for the free mini quilt pattern. Used it to create "Write Your Story" wallhanging, including family photos and sayings as the characters and plot ines of life's story. Turned out great and was a quick, fun project!